Since XML technologies have become a standard for data representation, a huge amount of XMLMSs have emerged as well. Consequently, it is necessary to be able to experimentally test and compare their versatility, behaviour and efficiency. In this chapter we provide an overview of existing approaches to testing XMLMSs and we discuss respective consequences and recommendations. This work was supported by the National Programme of Research (Information Society Project 1ET100300419). Berglund, A., Boag, S., Chamberlin, D., Fernandez, M. F., Kay, M., Robie, J. and Simeon, J. (2007): XML Path Language (XPath) 2.0. W3C. http://www.w3.org/TR/xpath20/. Biron, P. V. and Malhotra, A. (2004): XML Schema Part 2: Datatypes (Second Edition). W3C. www.w3.org/TR/xmlschema-2/. Boag, S., Chamberlin, D., Fernandez, M. F., Florescu, D., Robie, J. and Simeon, J. (2007): XQuery 1.0: An XML Query Language. W3C. http://www.w3.org/TR/xquery/. Bosak, J. (2007): Jon Bosak’s XML Examples. http://www.ibiblio.org/bosak/. Bray, T., Paoli, J., Sperberg-McQueen, C. M., Maler, E. and Yergeau, F. (2006): Extensible Markup Language (XML) 1.0 (Fourth Edition). W3C. http://www.w3.org/TR/REC-xml/. Busse, R., Carey, M., Florescu, D., Kersten, M., Manolescu, I., Schmidt, A. and Waas, F. (2003): XMark – An XML Benchmark Project. Centrum voor Wiskunde en Informatica (CWI), Amsterdam. http://www.xml-benchmark.org/. Caucho (2005): XSLT Benchmark. Caucho Technology, Inc. http://unsemaul.sportsseoul.com/resin-doc/features/xslt-benchmark.xtp. Chamberlin, D., Fankhauser, P., Florescu, D., Marchiori, M. and Robie, J. (2007): XML Query Use Cases. W3C. http://www.w3.org/TR/xquery-use-cases/. Clark, J. (1999): XSL Transformations (XSLT) Version 1.0. W3C. http://www.w3.org/TR/xslt. Clark, J. and DeRose, S. (1999): XML Path Language (XPath) Version 1.0. W3C. http://www.w3.org/TR/xpath/. DBLP (2008): Digital Bibliography & Library Project. http://dblp.uni-trier.de/. DeRose, S., Daniel, R., Grosso, P., Maler, E., Marsh, J. and Walsh, N. (2002): XML Pointer Language (XPointer). W3C. http://www.w3.org/TR/xptr/. DeRose, S., Maler, E. and Orchard, D. (2001): XML Linking Language (XLink) Version 1.0. W3C. http://www.w3.org/TR/xlink/. Farwick, M. and Hafner, M. (2007): XML Parser Benchmarks: Part 1 & 2. XML.com. http://www.xml.com/pub/a/2007/05/09/xml-parser-benchmarks-part-1.html. http://www.xml.com/pub/a/2007/05/16/xml-parser-benchmarks-part-2.html. Fields, M. (1996): Mark Fields’s Ebooks. http://www.assortedthoughts.com/downloads.php. H-InvDB (2007): Annotated Human Genes Database. http://www.jbirc.aist.go.jp/hinv/. IMDb (2008): The Internet Movie Database. http://www.imdb.com/. INEX (2007): INitiative for the Evaluation of XML Retrieval. http://inex.is.informatik.uni-duisburg.de/. Kuznetsov, E. and Dolph, C. (2000): XSLT Processor Benchmarks. XML.com. http://www.xml.com/pub/a/2001/03/28/xsltmark/index.html. Kuznetsov, E. and Dolph, C. (2001): XSLT Benchmark Results. XML.com. http://www.xml.com/pub/a/2001/03/28/xsltmark/results.html. Martinez, S. I., Grosso, P. and Walsh, N. (2008): Extensible Markup Language (XML) Conformance Test Suites. W3C. http://www.w3.org/XML/Test/. MeSH (2008): Medical Subject Headings. http://www.nlm.nih.gov/mesh/meshhome.html. Open Directory Project (2004): http://rdf.dmoz.org/. Oren, Y. (2002): SAX Parser Benchmarks. SourceForge.net. http://piccolo.sourceforge.net/bench.html. Rorke, M., Muthiah, K., Chennoju, R., Lu, Y., Behm, A., Montanez, C., Sharma, G. and Englich, F. (2007): XML Query Test Suite. W3C. http://www.w3.org/XML/Query/test-suite/. 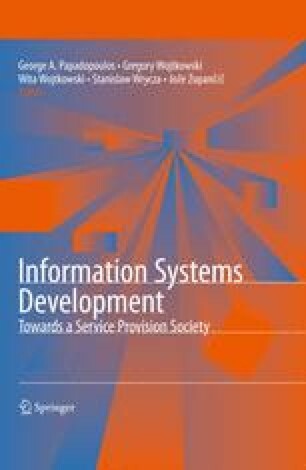 Runapongsa, K., Patel, J. M., Jagadish, H. V., Chen, Y. and Al-Khalifa, S. (2006): The Michigan Benchmark: Towards XML Query Performance Diagnostics (Extended Version) http://www.eecs.umich.edu/db/mbench/mbench.pdf. Thompson, H. S., Beech, D., Maloney, M. and Mendelsohn, N. (2004): XML Schema Part 1: Structures (Second Edition). W3C. www.w3.org/TR/xmlschema-1/. Treebank (1999): The Penn Treebank Project. http://www.cis.upenn.edu/˜treebank/. UniProt (2008): Universal Protein Resource. http://www.ebi.uniprot.org/index.shtml. Wendover, A. (2001): Arthur’s Classic Novels. http://arthursclassicnovels.com/. XDR (2002): XML Data Repository. www.cs.washington.edu/research/xmldatasets/www/repository.html.